So comparing Canada Dry Ginger Ale and Bundaberg Ginger Beer may be a bit like comparing apples and oranges: they have basic commonalities that put them, taxonomically, in the same family or genus, but they're decidedly not in the same species—at least not yet, as the species may be experiencing some evolutionary convergence. 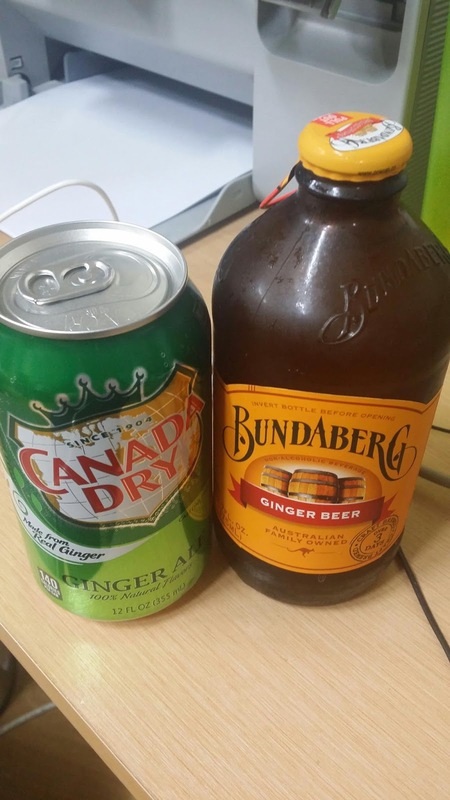 That said, I can say I definitely prefer Bundaberg to Canada Dry: the former has both greater smoothness and greater umami. The fizz in the Bundaberg doesn't force itself into your consciousness; it's more of a background white noise, like a gentle rain shower outside the covered pavilion of a restaurant with outdoor seating. Canada Dry, meanwhile, is all hard edges—about as subtle as a hammer to the head. I'm not saying it's bad—I like Canada Dry a lot—but it doesn't hold a candle to the smoothness and the depth of flavor of the Bundaberg, and this is obvious when you drink both drinks side by side. It's two completely different universes, and it's also no contest. to misquote Mao, "The euro is poison." "UK, not EU, will survive"
influence from across the pond? guessing at steps tonight: 34K...? 36K...? a red-letter day! callooh! callay! do my walks take me all the way out of Seoul?